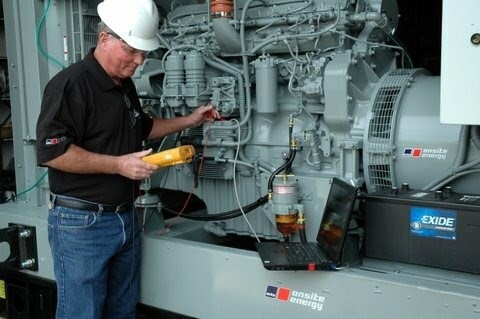 CURTIS ENGINE OFFERS PLANNED MAINTENANCE CONTRACTS TO SUIT YOUR SITE-SPECIFIC NEEDS AND SCHEDULE. Contract intervals run from monthly services for critical installations such as hospitals and data centers to quarterly, semi-annual, and annual service intervals. Why purchase a planned maintenance contract? Your Emergency Power Supply System is in the hands of power generation specialists. We can keep you in compliance with regulatory requirements such as NFPA and Joint Commission standards. Periodic preventative maintenance saves you money by reducing long-term costs. You receive preferred treatment in scheduling and emergency response. A complete record of your equipment’s maintenance history and cost is developed. Our maintenance procedures are in accordance with manufacturers’ recommendations and designed to keep your equipment in peak operating condition. We can also meet the requirements of the NFPA and Joint Commission codes and standards. We know what the common failure points are and our technicians are trained to solve existing or potential electrical and mechanical problems on ALL generator and automatic transfer switch makes and models. Full reports, complete with run-time logs, checklists, test results, recommendations, and service documentation, are provided to you upon completion of the service and permanently filed to create a service history for each piece of equipment. We also highlight any deficiencies discovered and notify you immediately of any safety or reliability concerns. For more information about customizing a Planned Maintenance Agreement to suit your needs, or for a price quote for a one-year or multi-year contract, please contact us today. © 2019 Curtis Engine & Equipment Company, Inc. All Rights Reserved.